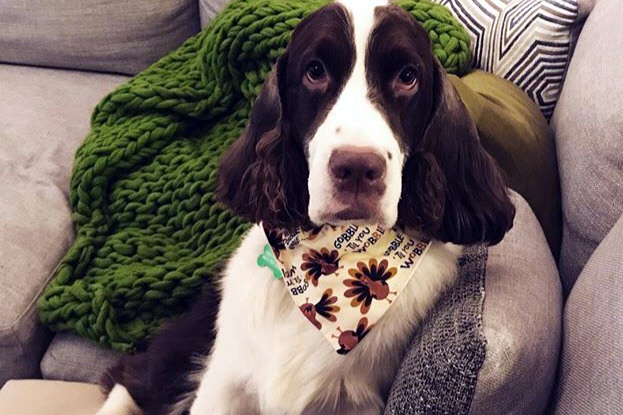 “Theodore is a dog that in his short 3.5 years of life has brought so much love to not only our family but people he meets everyday” writes his Mum. 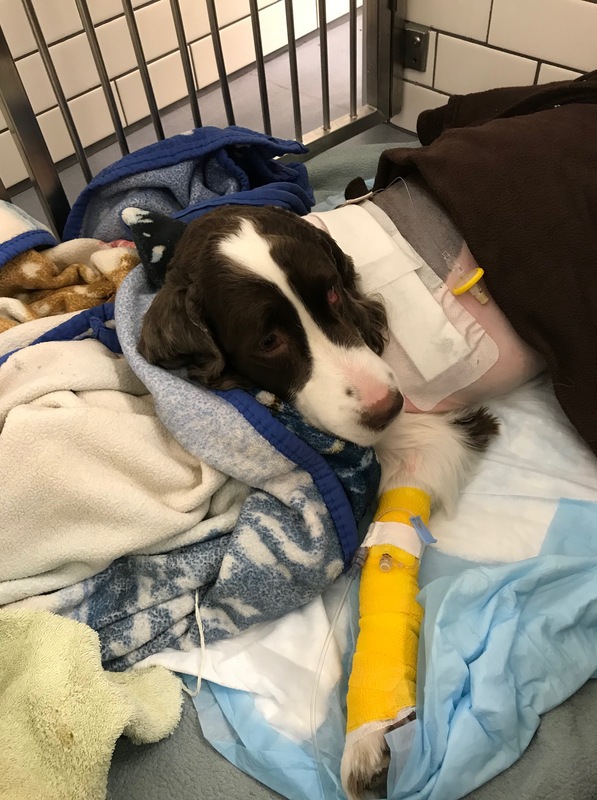 Sadly, Theodore was diagnosed with a nerve sheath sarcoma (a cancerous tumor), and required life saving surgery, amputation of his left front leg. The prognosis is good, he is young and strong and animals are amazing at adapting! “He will be the best 3 legged dog he can be” says his Mum. 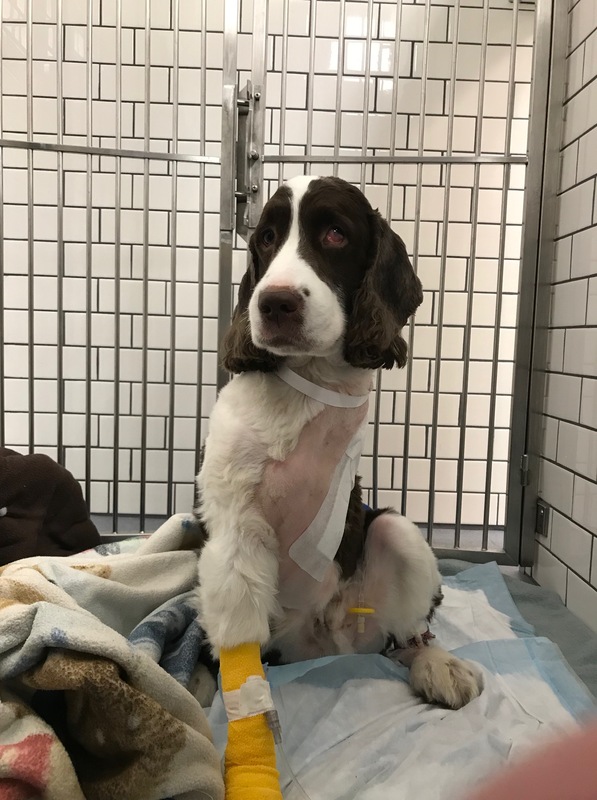 Theodore had his surgery on the 2nd of April, it went very well, and luckily the tumor had not reached the spine. The waiting game begins for biopsy results, and hopefully it will report that they were able to remove 100% of the tumor. Mum reports that Theodore is recovering at hospital, he is eating and drinking. He has stood and peed out side with assistance and can sit up all on his own. Way to go Theodore! We love our pets so much, they are family members, and you do what you can for them, which is the very best, sometimes with a lending hand. Theodore is no exception, he is loved and his family are thankful to have him in their lives. “He truly is very special and gives so much”. 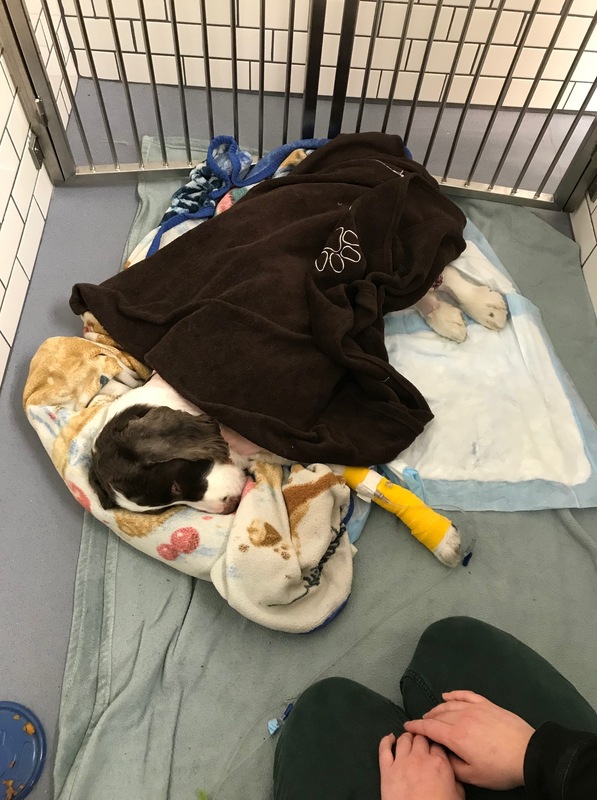 We will be following Theodore on his recovery and will share with you! The family is very grateful to the Maggie May fund, but we couldn’t be there for Theodore without your support, we thank you!